Author Leo Kennedy is the great-grandson of Sergeant Michael Kennedy. Raised in the shadow of his great-grandfather’s murder, Leo witnessed the deep psychological wounds inflicted on successive generations of his family – and the families of other victims – as the Ned Kelly myth grew around them and the sacrifice of their loved ones was forgotten. Leo himself was nicknamed ‘Red Ned’ at school and taunted for being on the wrong side of Australian history. 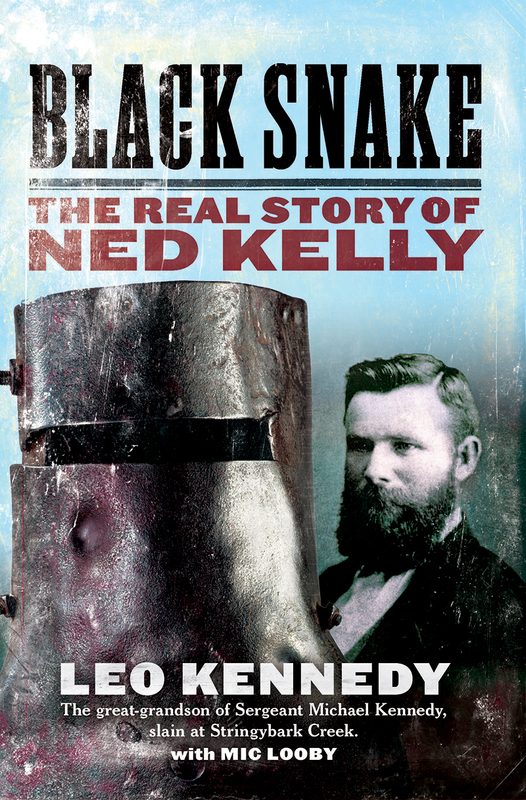 Now, for the first time, and in brilliant prose that brings these historical episodes to life, Black Snake challenges the legend of Ned Kelly. Instead of celebrating an heroic man of the people, it gives voice to the victims of a merciless gang of outlaws. This is a captivating true story, gleaned from meticulous research and family history, of two men from similar backgrounds whose legacies were distorted by history.